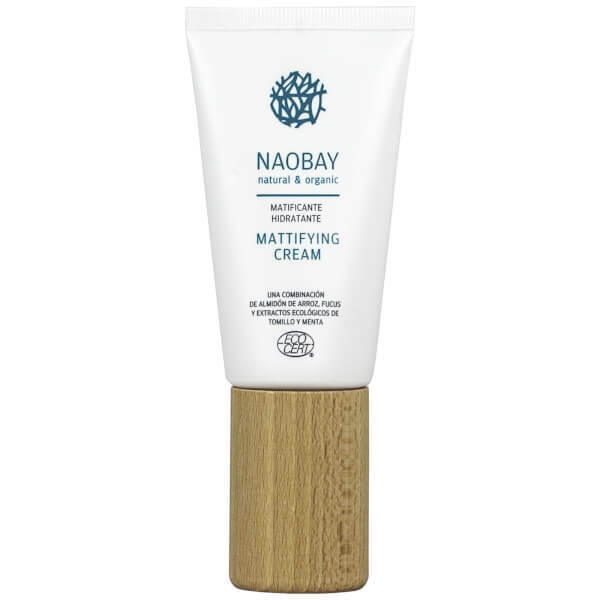 Achieve a shine-free complexion with the Mattifying Face Cream from NAOBAY (Natural And Organic Beauty And You). Infused with Rice Starch, Fucus and Ivy Extracts, the fast-absorbing formula delivers optimum hydration, whilst eliminating excess oil for a smooth, flawless finish. Ideal for blemish-prone or oily skin types, you can expect a long-lasting matte complexion and perfect base for make-up application. Aqua, Aloe Barbadensis Leaf Juice*, Polyglyceryl-2-Stearate, Glyceryl Stearate, Stearyl Alcohol, Glycerin, Alcohol Denat, Oryza Sativa Starch*, Nasturtium Officinale Extract, Arctium Majus Root Extract, Salvia Officinalis Leaf Extract, Citrus Limon Peel Extract, Hedera Helix Leaf Extract, Saponaria Officinalis Leaf/Root Extract, Fucus Vesiculosus Extract, Acid Citric, Benzyl Alcohol, Xanthan Gum, Potassium Sorbate, Sodium Benzoate, Parfum, Limonene, Acetate Linalyle, Linalol, Geraniol. * Ingredients from organic farming.